GolfTrip.com – Golf Tips, Vacations, Packages, Destinations and more! Planning that Perfect Golf Trip? You've come to the right place! Who knows that a simple golf club can also be a paradise? Visitors of the Ford’s Colony – Blue Heron Course have experienced living at its best by spending their golf trips in this resort. Ford’s Colony offers 54 holes of 3 distinct championship golf courses which include Blue Heron and has been featured continuously in various golf publications. This course is designed to challenge players at all levels, thus golfers who wanted to experience some adrenaline rush come over and over again in this golf club. Williamsburg’s natural terrain and woodlands add to the beauty of the field making players enjoy the game as well as the spectacular scenic views. The Ford’s Colony – Blue Heron Course pro shop has been ranked # 1 by the Mid Atlantic PGA repeatedly. Aside from their outstanding shop and quality products, Blue Heron is also known for its three dining venues. The venues include a formal dining room which was entitled with the AAA Five Diamond Award. Furthermore, the dining room has received the award for Best Award of Excellence by the Wine Spectator Magazine for its over one thousand variants of wine in different tastes, types, and classes. Planning a golf vacation destination here is a good idea for wine lovers and nature lovers as this resort is also a home for various birds and aquatic life. Aside from competitive golf vacation package deals, Blue Heron is also a great place for learning especially for beginners. PGA certified professionals use video swing analysis with a ball flight tracking technology making their teaching process more effective. With this, the Ford’s Colony – Blue Heron Course can help golfers turn their weaknesses into their strengths. 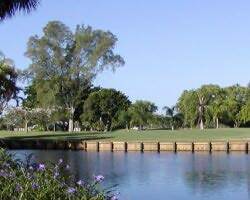 Lakeland, Florida was close to literally ‘blooming’ in the Spring of 2007 when the Golf Club at Bridge Water opened. The Steve Smyers design was more than a welcome change; it was the best addition to the already beautiful Florida environment. The golf vacation destination was made to not simply coexist with nature, but for both to be significant parts of each other. Measuring a little more than 7,200 yards from the championship tees, the 18-hole Golf Club at Bridge Water plays for a par of 72 and features 5 sets of tees. The course was made to be links-style, reminiscent of golf’s Scottish origins. But with Florida’s natural topography in play, it can never be said to be truly a ‘replica’ of anything. It is too unique to even be associated with classics. Natural wetlands come into play side by side with old growth oaks on undulating fairways and well-bunkered greens. This Florida spectacle is a favorite for golf vacations, and has a loyal following of golfers perpetually on the lookout for unique golfing opportunities. Likewise, the course is a favorite recipient of recognitions from major golfing publications. For one, the Golf Club at Bridge Water was ranked No. 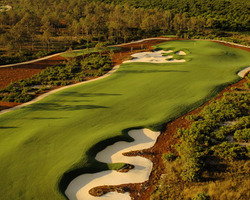 18 in the Best Courses to Play in Florida by GolfWeek Magazine. Its grass tees, target greens, practice bunkers, chipping area, and a large putting green all combine to complete the golf trip experience. That spring of 2007 has made Lakeland, Florida bloom and it has not stopped blooming to this day. With the perfect combination of beauty and challenge, Eagles Glenn Golf Course is perfect for golfers to enjoy both the game and the scenery. 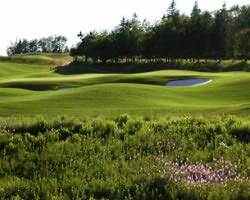 This golf course is located in the heart of Cavendish, Prince Edward Island in Canada. The golf club’s overall specifications is created by Canada’s renowned golf course architect, Graham Cooke. He transformed over 300 acres of Cavendish into Eighteen inspiring championship holes including a state-of-the-art practice facility. Who thought golf trips can be this inspiring and relaxing? With bent grass greens, fairways, and tees boarded with green Kentucky blue grass, walking alone in this golf course is worth it. Eagles Glenn is owned and managed by Ellis and Birt Ltd. What makes this golf vacation destination amazing are the following specifications: 27 hole design which includes a 9 hole par 27 practice facility, 4 large ponds for irrigation, and approximately 76 white sand bunkers. Each hole has 5 sets of tees making it perfect for various player levels in terms of difficulty. CPGA professionals are also present to assist beginners learn their way in this sport. Furthermore, a golf course is not complete without a pro shop. The Eagles Glenn Golf Course pro-shop offers various items and equipment to provide golfers with the leisure of choosing brands, quality, features, and even prices. Eagles Glenn manages its own website to help golfers choose or plan their vacation packages ahead of time. Aside from choosing a competitive golf vacation package, golfers can also select their accommodations online by going over Eagles Glenn’s suggested hotels and inns. In short, planning a golf adventure can never be as easy as choosing Eagles Glenn Golf Course. The Aliante Golf Club lays a little over 7,000 yards from the longest tees, par 72. In the course’s front nine, hundreds of pear trees make an odd appearance. At first glance, they look quite misplaced in a sea of arroyos and rocky desert terrain. All the more “misplaced” are the Mondale pines and purple locust trees in the back nines. The palette of colors they create truly spice up the usual golden casts of sunlight on the wide desert. 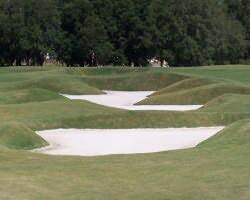 But as much as they looked out of place here, a golfer knows by heart what designer Gary Panks was trying to achieve. These trees work rather well with the course’s sizable serving of large bunkers and rocky arroyos to urge the golfers to use every club in the bag. That, and to make his heart rate fluctuate as much as the elevation changes hereabouts. Some interesting water features make an appearance in the right amount and in just the right places to complete the golf vacation package. And with five sets of tees, theAliante Golf Club opens its unique offers to more golfers. And no matter how eclectic a combination its features are, this course has arguably perfected the mixture of excellence in scenery and challenge. This most definitely gives an unusual twist to the usual Las Vegas golf trips. The clubhouse at Aliante Golf Club features a well celebrated pro shop, bar and grill with gastronomic servings for breakfast, lunch and dinner. Food for the eyes are also offered at the outdoor pavilion where the magnificent view unfolds on the nearby Sheep Mountains. Aside from relaxing moments, this location also provides an area for practice which is a 50,000 square foot grass range showcasing over 40 hitting stations. The huge putting green of 14,000 square feet and the short game area contain sand bunkers and chipping areas. From various angles on this golf vacation destination, golfers can practice chips and pitches with assured molded skills and even learn new ones from the golf treasure. 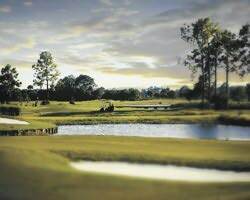 If one were to put “Florida High End Golfing” in a picture book, the Copperhead Golf Club would have been the image right next to its definition. The favored golf vacation destination in Lehigh Acres area near Ft. Myers is indeed one golf course that pretty much showcases everything that Florida golf offers best. 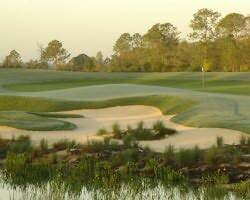 From yardage to obstacles to scenery, the Copperhead Golf Club has pretty much bagged the requisites that define ‘great’ in playing golf in the Sunshine State. From the longest tees, the course measures an eye-popping 6,680 yards of golf, par 72. That’s all 6,680 yards of old-growth pines, island tees, pristine lakes and ponds, elevated greens, and a hefty helping of native wildlife. The high-end homes surrounding this golf vacation community are largely visible, but rest assured golfers will not feel the distraction. Where a nice home blocks the supposed nice view, the shot difficulty will make up for it. And this is no generic, off-the-shelf type of difficult. The challenge this course poses is enough to daunt even the best pros in the sport. As a matter of fact, this course is more than just some destination for golf trips. 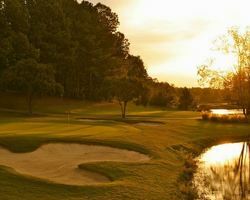 The Copperhead Golf Club is a regular PGA Tour Stop – the Transitions Championship. Golfers from around the world compete here every year only to discover that even the best of them could not very much take this course all too easily. Thank God for multiple tees, the higher handicapped golfers could find a place for themselves amidst all this high end golfing glory. That being said, a photo of this course might just as well be found next to the definition of “fun, unforgettable golfing”, and perhaps in family photo albums for the same reason. Tiburon Golf Club is known throughout the Florida golfing scene as amongst those that give the best quality golf experiences in the state. This gem of a golf vacation destination in Naples isn’t simply “just one of the many”. Its pair of 18-hole championship courses, not to mention best caliber services and amenities, make it a standout no matter how stiff the competition. One of its courses, the Gold Course, could very well tell its own story. Both courses on the Tiburon are Greg Norman designs, the Gold Course being the longer one at 7,217 yards, par 72, in comparison with its sibling Black Course. Both the courses are not located beach front, but Norman created them links style in a rather convincing fashion that it feels as if the ocean is but a stone’s throw away. 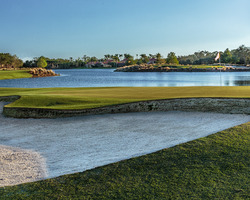 The Gold Course features a lot of water – on thirteen holes to be exact, with more than 50 well placed coquina shell-lined bunkers to compliment them. While it shares this same feature with the Black Course, the former was made with wider fairways and more generous landing areas making it the easier, more player-friendly course of the two. This makes golf vacations here more appealing for more golfers, a more open prospect for the lower-skilled players. But golf trips isn’t all there is to the Gold Course. This would not be a championship course without creating real champions. And it does, December of each year, at the Merrill Lynch Shootout or more fondly called the Shark Shootout. Looking at this course alone, it is easy to understand why the Tiburon Golf Club is a favorite choice when Florida presents golfers with a thousand other options. There is nothing old about the in Lee County, Florida, but this golf vacation destination has reaped more awards since it opened in 2007 than most other older golf courses built through the years. This course is indeed like a corkscrew that opens a bottle of wine that adds a different flavor to compliment whatever good this part of Sunshine State already has on its plate. That shouldn’t be surprising. 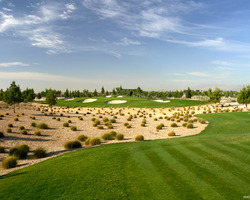 As a Jack Nicklaus Signature, the course makes it one of the most unique layout in the area. That alone is an answer suffice enough to reply to the few people who are puzzled –this was created to have both playability and challenge to make for unforgettable golf trips. The Old Corkscrew Golf Club measures 7,400 yards from the longest tees, playing for par of 72. Nicklaus created it in a way that the contemporary additions would simply flow naturally on the terrain using the indigenous features of the area as main attraction and guide for direction. The final picture is a huge golf course dotted with mature oaks, slash pines and native vegetation where the careful wins loads of chances for a neat scorecard. And just as easily as fun reveals itself , the awards and recognitions came in pours. Now nearing its fifth year of giving happy golf vacations, the Old Corkscrew Golf Club has gathered prestigious awards surpassing those before it. Under its namer are:‘Best Course That You Can Play That You Have Never Heard Of’(Golf Magazine, 2011); ‘Southwest Florida’s # 1, ‘Best Course You Can Play’ (Golf Magazine 2010); ‘One of America’s Best New Courses in 2007’(Golf Digest) – plus a Silver Signature Certification from the Audubon International. When it is a huge breakthrough for a new course, it would not be surprising to see this become a classic in the future; like fine wine that simply gets better as it gets older.